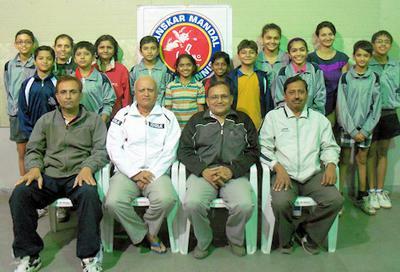 Krishnanagar Sanskar Mandal table tennis club is situated in Bhavnagar City, Gujarat, India. 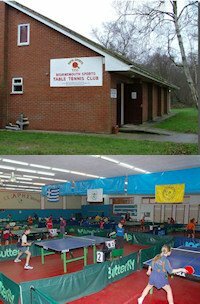 It is the top table tennis club of our state and Krishnanagar Sanskar Mandal offers all kinds of table tennis training - Beginners / Semi Beginners / Advanced / Competition / Special training for handicapped players / training to veteran players etc. 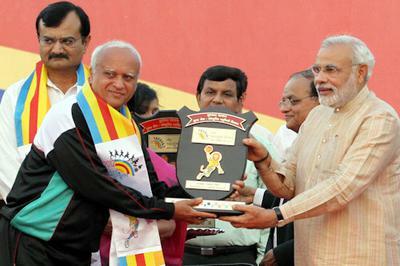 Up till now, more than 4500 players are trained, out of which 138 players represented our state at national level while 6 players represented India for International competitions also. We have 3 tables with wooden flooring. 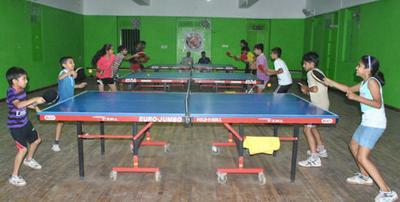 Daily more than 80 players are trained in five batches on three tables. We are offering scientific training to beginner, intermediate, advanced, competition play etc. from kids age to veteran age players. We also offer special training to handicapped players also. We also have special training facility for out station and overseas players.